So pretty Albertina,I love the fern details and how it is covered in gold! Have a great weekend! Sconces are so lovely. 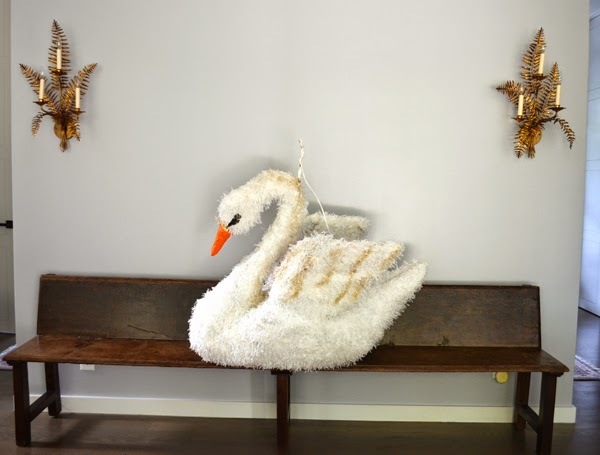 I'm obsessed with the swan pinata. I want one! Love em! have a great weekend! P.S. That swan IS art! Love it! oh my gosh those sconces look absolutely gorgeous! Those sconces are heaven! You should have a photo of that swan blown up, it is beautiful. The Scones are to die for!!! Love them! They look like pretty little gilded ferns!